Merlin has been performing living statues for a number of years now and they always prove popular with the guests at any event or function. Merlin can design any statue to your specific requirements, so just choose your theme and colour and let him do the rest! 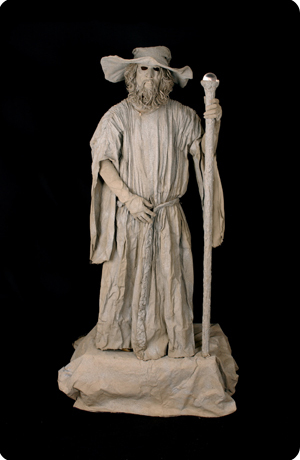 Here is a picture of one his wizard statue’s which incorporates contact juggling and below is a video of Merlin in action as a wizard statue.